UNIST held the 2nd National Supercomputing Youth Camp, offering students a unique opportunity to work with advanced research technology from August 1 to 5, 2016. Local gifted high-Schoolers gain skills and experience advancing HPC. 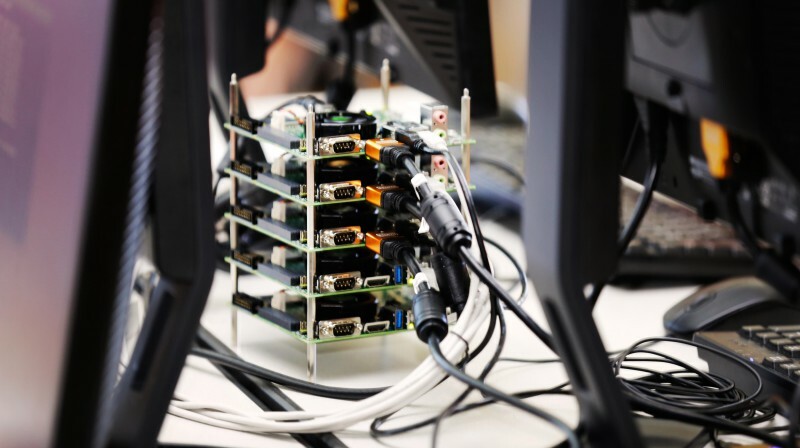 UNIST to provide the skills to succeed in supercomputing. UNIST has invited local gifted high school students to a week-long national supercomputing camp, which took place on the UNIST campus from August 1 to 5, 2016. The Korea Supercomputing Youth Camp 2016 is an intensive summer camp, specifically designed for high achieving science-gifted students who like science, engineering, mathematics or computers. The event offers students a unique opportunity to listen to keynote speakers, discussing both insights and challenges inside the world of supercomputing. A total of 72 gifted achievers from 23 gifted high schools nationwide partook in this event to expose themselves to the topics and activities that comprise the field of high-performance computing (HPC). UNIST invites local gifted high school students to a week-long national supercomputing camp, held at UNIST from Aug. 1st to 5th, 2016. The conference will kick off Monday with a keynote speech by Dr. Young Il Ko (Seoul National University Hospital), exploring the benefits of supercomputing technologies when applied to medicine. The event provides support to help students build the skills capacity for HPC in the current and future workforce. During the course of the event, participants also had the opportunity to work with next-generation supercomputers not usually available in a typical classroom setting. Each team will be consisting of 1 mentor teacher and 3 students. Working in small peer teams, the students will learn how to build linux-based supercomputers from scratch and to take advantage of HPC resources. They will also partake in multiple breakout sessions, presentations, and a chance to work hands-on with a number of UNIST professors using high-performance computing (HPC) systems. Students at the 2nd Korea Supercomputing Camp 2016 at UNIST on August 1st, 2016. The third day of the event will feature a special lecture by Prof. Sung-Bae Cho (Department of Computer Science) of Yonsei University on “Artificial Intelligence and Mankind”. On the forth day, Director Sung Yeob Kim of UNIST Supercomputing Center will be presenting on “Supercomputer for Reality”. The entire program wrapped up on Friday with a few more workshops and panels, allowing students to participate in a formal panel discussion to present their final projects. The intent of the panel sessions is to gather opinions and ideas from individuals of all positions. The Supercomputing Youth Camp 2016 is the second annual event, organized by UNIST and Korea Institute of Science and Technology Information (KISTI) in a bid to cultivate future computer scientists.